Contains: brave faeries, cunning humans, hungry wolves, and uncooperative sheep. When a fae child falls deathly ill, Domnall knows he's the only one who can get her the medicine she needs: Mother's milk. The old scout will face cunning humans, hungry wolves and uncooperative sheep, to say nothing of his fellow fae! Wrigley skillfully builds up the crotchety old Fae’s character and the world he lives in, providing the small details that make it possible for the reader to see and smell the world. There are uncooperative sheep with “hot and hairy” udders and a tendency to kick the pail over. There is the “deep, rich smell of alcohol and peat” in whiskey. Domnall gets chilled by the night. The novella is tightly-paced, with the tensions worked in and with problems believably developing one from another. 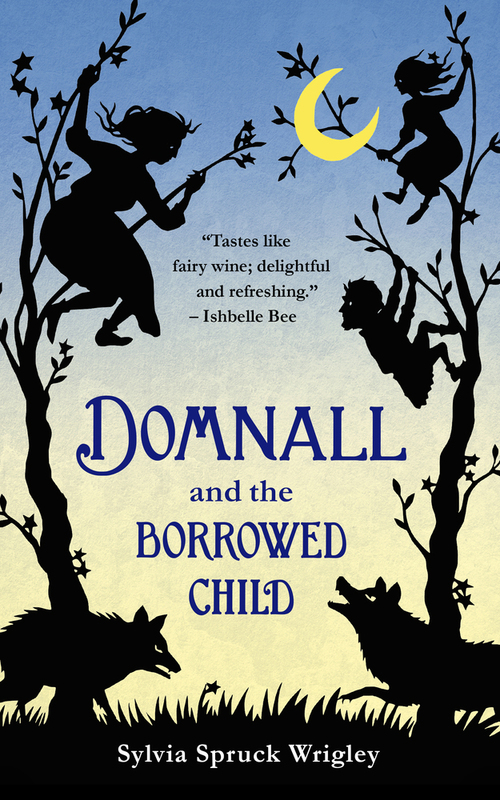 Domnall and the Borrowed Child finishes satisfactorily as a slice of life among the Fae, one set of difficulties dealt with and a sense that life will go on. It makes for a look into another world and another life. This novella isn't about action of high drama; no, it's a cozy fairy tale from the fairy's perspective, and it's a joy. Domnall is a cranky old cuss, the kind who pisses on the flowers that will soon have their dew harvested. But when a fairy child falls gravely ill, he knows what must be done: the wee one must feed on a human mother's milk, which means the human baby must be nabbed. Domnall fumbles along, doing the best he can to tend to both babies. His efforts to feed the human baby lead to a humorous episode of sheep-milking. It was fascinating to read of changelings from the fairy perspective. From the human viewpoint, they are such evil beings. Here, the depiction is more nuanced and tragic--of course the humans will be horrified if they find their baby has been replaced, but the fairies are trying to save one of few children they have left. This is a fairy tale with a lot of depth, with a welcome new viewpoint on old tropes. As soon as it is about faes, I’m always there, so when I saw this novella, I was immediately intrigued. How not to be? Regardless, the story is not really long, it must be said, but it remains complete and allows us to discover a particular universe of the author. We then meet with Domnall, a former scout, but also a character unlike any others, one who knows how to do his job. His new mission? To heal a young fae who needs a mother’s milk. Something that seems perfectly innocuous is actually very difficult when you have to exchange the child with a human baby and to recover him/her without being noticed and without endangering the life of the child. Yet Domnall knows he can do it, but he did not count on all the pitfalls that will be strewn in his path. It was quite an interesting story, which is read with pleasure and quite quickly. I loved the myths developed by the author about the faes and it is true that I would even have been happy to learn more. We’re quickly carried away by the story, seeing how the coming events will take place and how our hero will face them. A good short lovely story.